Asphalt is a legendary racing franchise and Asphalt 8: Airborne promises to live up to the name with jaw-dropping console-grade graphics and adrenaline boosting gameplay. Developer Gameloft has just released a new teaser video for Asphalt 8 saying the game is now coming ‘very soon’. Teh new Asphalt is ‘airborne’ because of platforms, rocks and other constructions in tracks that you can jump on to lift your car in the air. Stunts in the air look amazing. Most impressive to us, though, are the even better graphics that - we can safely say - reach near console grade quality. The new Asphalt 8 will be optimized to run on the new Nexus 7 with its amazing 1920 x 1200 ‘Retina’ display. The racing game comes with a brand new realistic physics engine, a whopping 180 events, 47 cars and new game modes. Asphalt 8: Airborne supports simultaneous online multiplayer, but you can also race friends in asynchronous challenges, and all of that is tracked in leaderboards. Yet some people will still call the Google Play Store the "App Store" You can't blame Apple for the catchy names and idioms. Don't complain. I laugh at every idiot who still toses that word around as a good thing because retina is crap compared to a 1080p display. apple stating -> no scientific proof = commercial ad And it's completely false cause everyone that would have tried a Nexus 10 or an HTC One can tell that there is more pixel density compared to the iPad 4 and the iPhone with their "retina" displays. Retina is like 2007 display technology thats now been f**ked up by amoled 1080p haha . Cool. I just love Asphalt 6 & 7 so much. Asphalt 8 would also be very good. And will continue to do that probably until consoles go away (if ever). Somewhat asymptotic. Not even close to a 360/ps3, maybe call of duty and the other crap quality games like that. Come back to me when you get a phone that can run a game that looks better than crysis 1 on PC maxed. It won't happen for a long time. 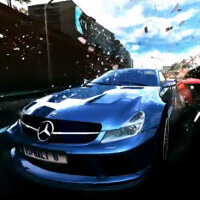 I heard that it'll be released on August 8th Asphalt 8 on 8/8/2013 ! I knew that release date is for android , how about iOS ? Have no idea but I guess it will be released simultaneously on both iOS and Android. No... just no. Real Racing is not fun to play at all. I love the Asphalt series because of the crazy race tracks and fast cars. Real Racing is "realistic" and you just go in flat circles with no jumps or nitro boosts or anything fun. That's just my 2 cents. Same here, RR3 and NFS graphics are better than this imo. Where is the "Like" button?! Damm its probably gonna cost $6.99 or 7.99!